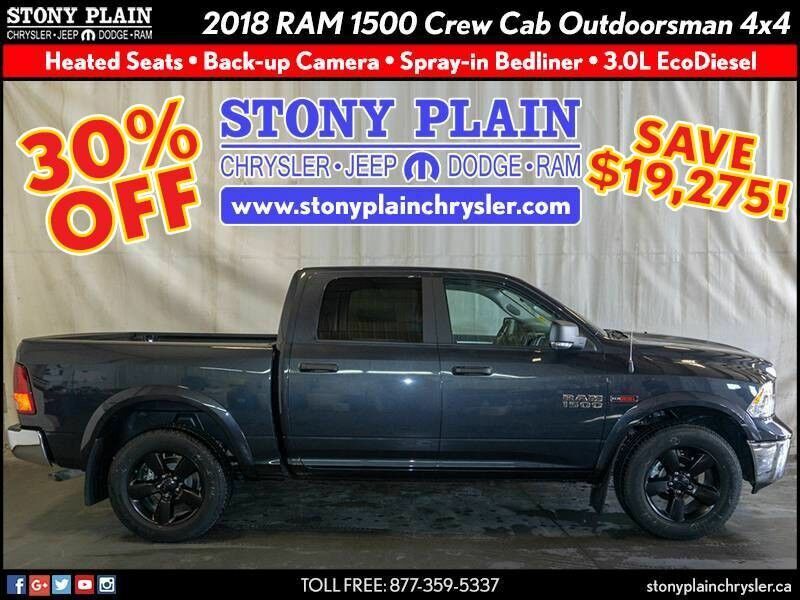 Stony Plain Chrysler is excited to offer this 2018 RAM 1500 Crew Cab Outdoorsman 4X4 Pickup Truck. Pull up in the vehicle and the valet will want to parked on the front row. 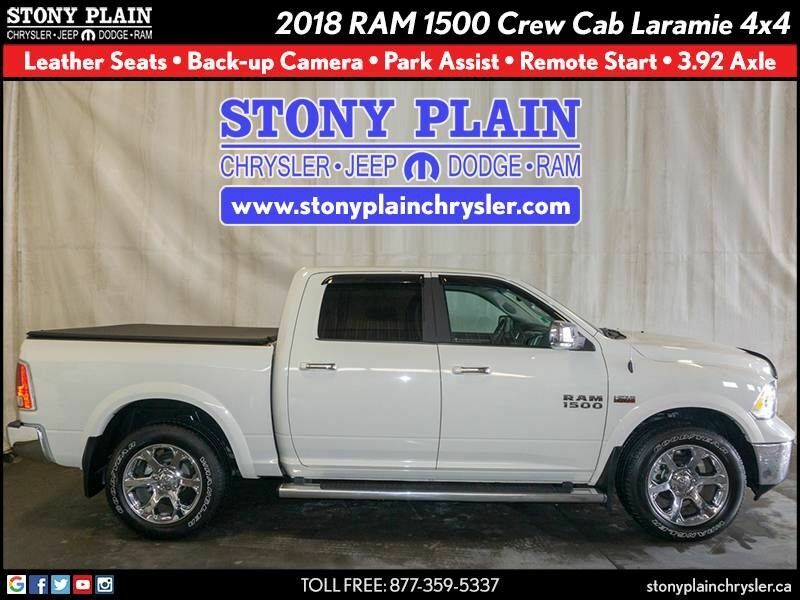 This RAM 1500 is the vehicle others dream to own. Don't miss your chance to make it your new ride. When RAM created this vehicle with 4 wheel drive, they immediately enhanced the performance ability. Easily switch between two and four wheel drive to take advantage of the improved steering and superior acceleration.